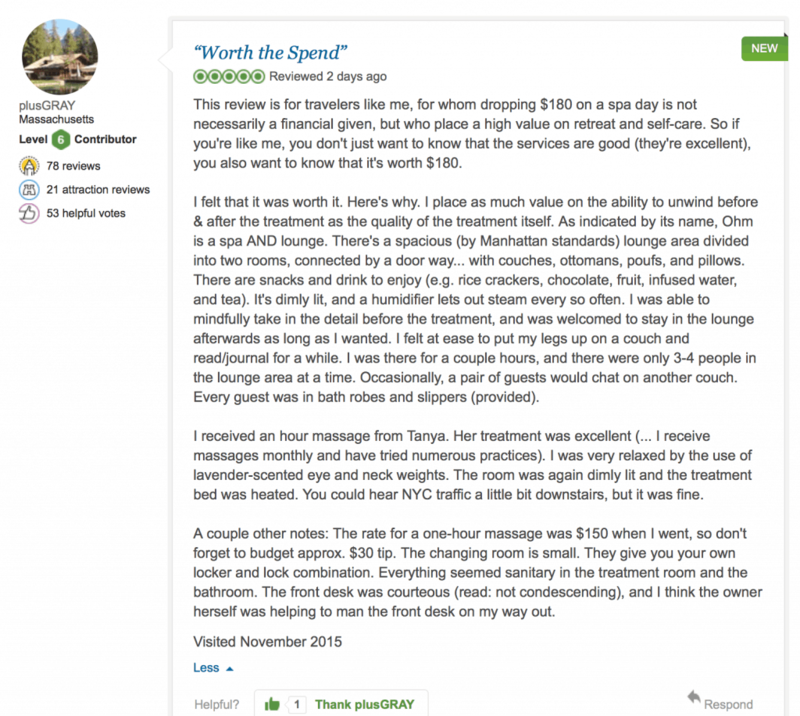 “I have already booked my next appointment.” – Tamara B. 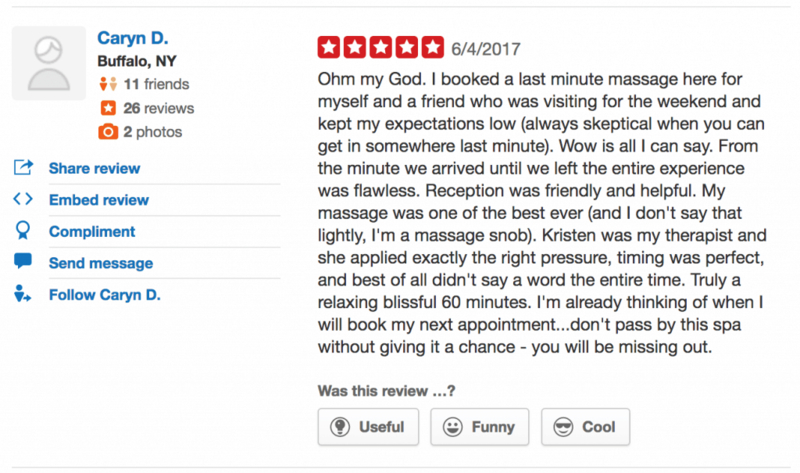 “Truly a relaxing blissful 60 minutes.” – Caryn D.
There’s no better way to celebrate a special occasion with your loved one than with a couple’s massage at Ohm Spa & Lounge. That’s what Darnell did when he decided to treat Yolanda for her birthday. 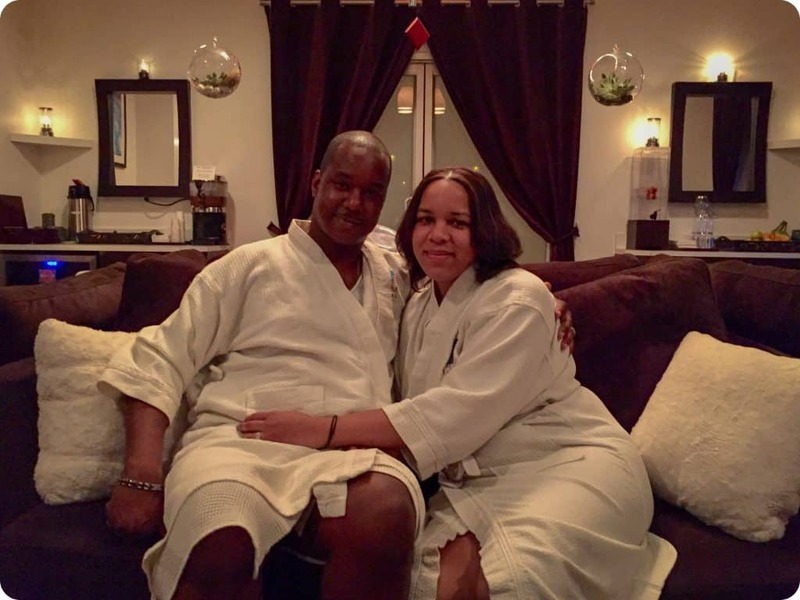 We were so thrilled to have such a loving couple choose Ohm Spa to host such an important day! 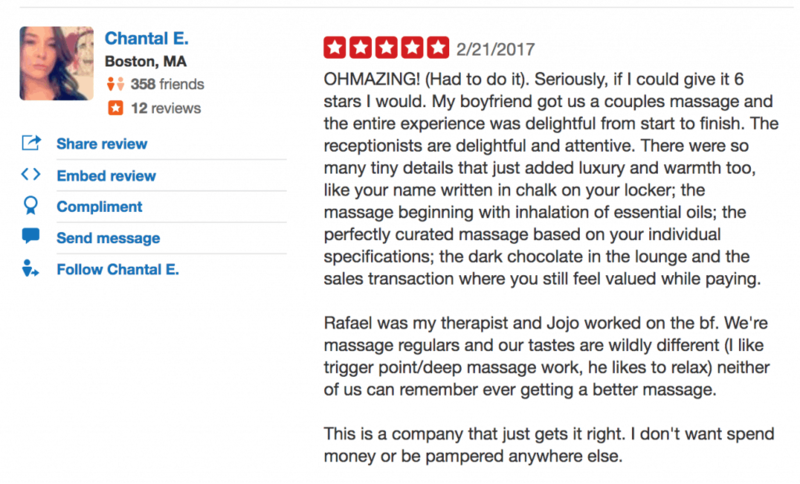 We specialize in couple’s massages at Ohm and have been creating amazing experiences for couples for all their anniversaries, birthdays and romantic getaways. Our expert massage therapists know exactly how to soothe achy, sore muscles and our beautiful, luxurious lounge space is the ideal environment to spend some quality time with the special person in your life. 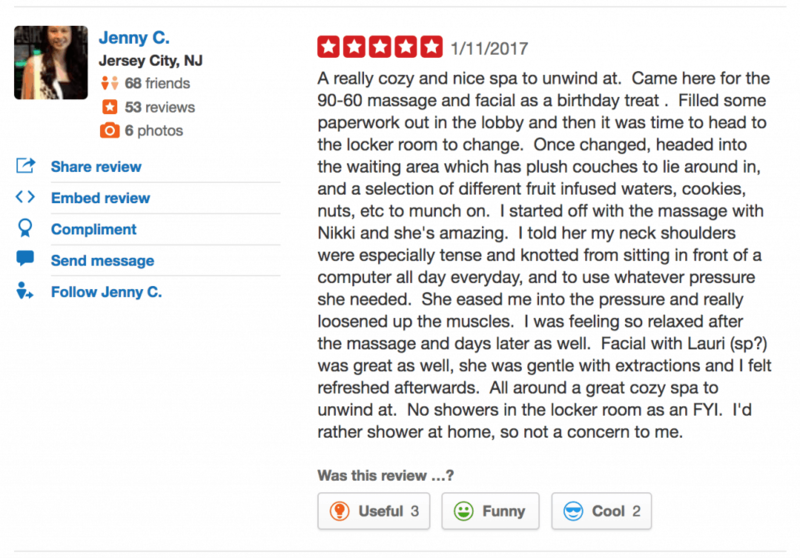 “My wife and I really enjoyed ourselves.” – Joe B. 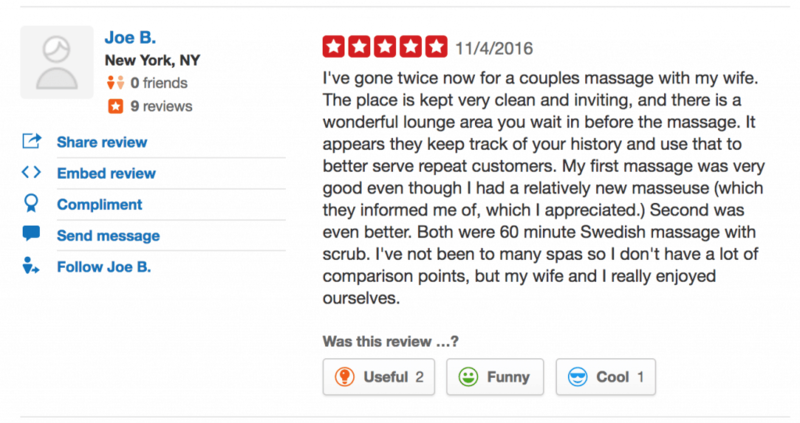 “I really enjoyed my time…” – Liz B. 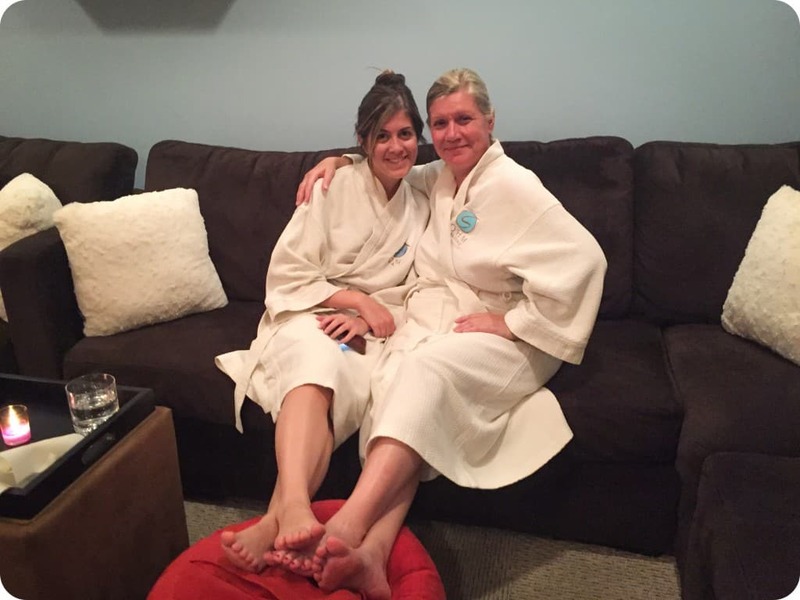 “Seriously, I love this place.” – Rebecca L.
“AMAZING experience overall!” – Yelena V.
“One of the most gifted therapists I’ve ever had.” – Franchesca T.
We were so happy Amanda chose Ohm Spa & Lounge to treat her mom to a special spa day. 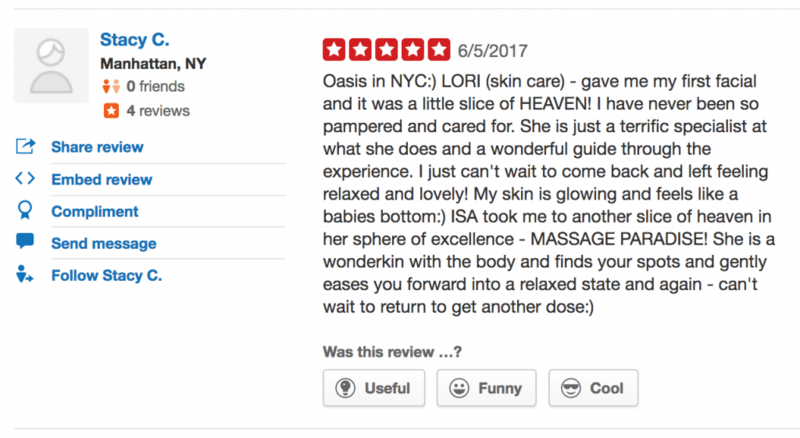 To us, there is no greater compliment than when a repeat client comes back and brings their mother. If you’re like most people, you probably don’t spend enough time with your mom. Perhaps it’s because of your busy work schedule, social obligations, distance, etc. Whatever the reason, most mothers will agree that the best present you can give them is actually spending time with them. And there’s no better place to spend quality time with your mom than at Ohm Spa & Lounge. 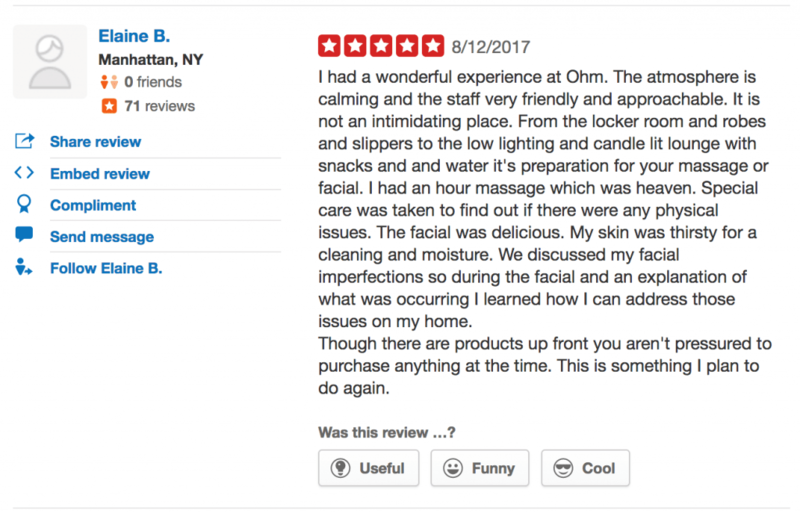 That’s what Amanda did recently by treating her mother to a relaxing day with us. 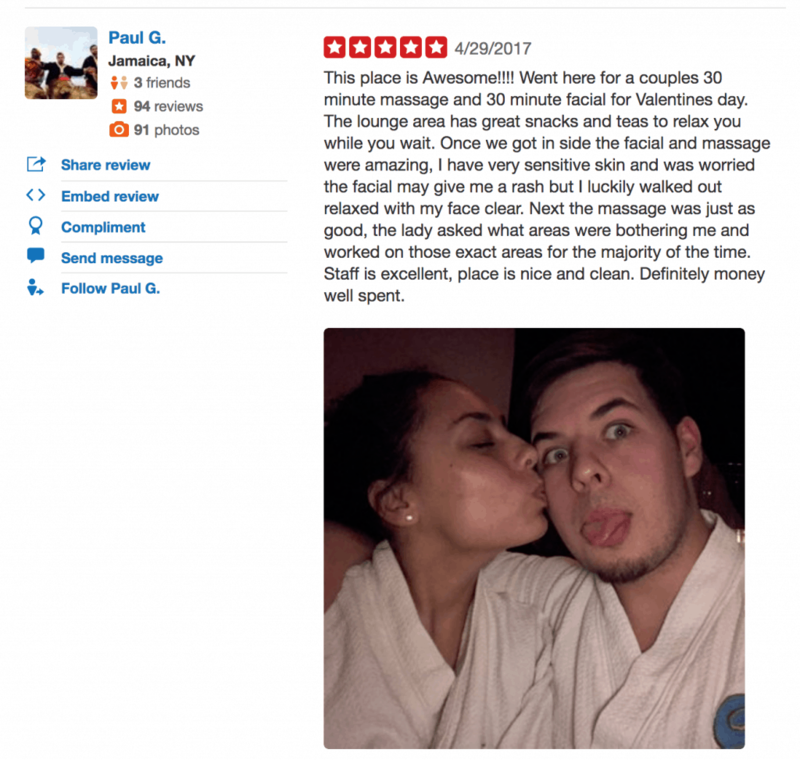 If you’re looking for a way to treat your mom and to share an amazing experience together, consider a day at the most relaxing spa in NYC. You could both receive knot-dissolving massages in the same room together – or in separate rooms for more privacy. You could also receive soothing facials for glowing complexions. We even offer wonderful spa packages that include massages, facials and body scrubs for the ultimate in pampering! Whatever you decide, the important thing is that you get to spend some quality time with person that has done so much for you and who loves you so much. 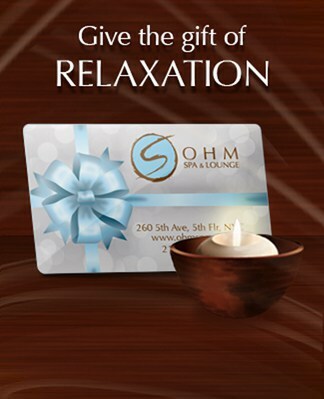 Share some much-needed bonding time with your mother at Ohm Spa & Lounge.